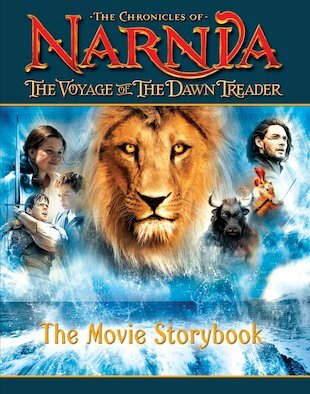 Aboard the ship the Dawn Treader, Edmund and Lucy join Prince Caspian, searching the Eastern Seas for lost friends of his father. Many miracles and dangers await them on a voyage which will take them to the very ends of the world! As our friends – with their beastly cousin Eustace in tow – embark on their fateful voyage, they discover that their quest is much greater than they imagined, and that the world’s end is only the beginning. And soon they sail far out of charted waters, beyond all known lands, and into the arms of a faithful old companion… The classic story is retold in this stunning movie storybook, filled with dazzling images from the film. Its a great book I love it and its just my type! C.S. Lewis won the Carnegie Medal in 1956 for The Last Battle.